The march to constitutional reform has been ongoing for many years, with a well-documented history of academic research and consultations that have informed this current process. With the seven Bills finally settled on, and with the announced date approaching, the Government, as well as the leadership of Constitutional Review Advisory Committee, have noticed that the entire nation has begun to pay attention to the issues, in a way that has been unprecedented. We have sensed a genuine increase in national interest — and at the same time, people are asking for more time to become more familiar with what is being proposed. 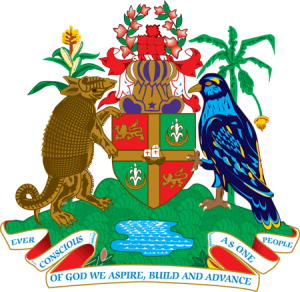 While we appreciate that we cannot have an open-ended process, we understand the magnitude and historic significance of the Bills being presented to Grenadians for their approval. In particular, one clause in the Rights and Freedoms Bill has caused growing concerns in some circles. After extensive general discussion, including with the chairman and other members of CRAC, the Government believes that this, and any other lingering issues of clarity, must be addressed. All the contributions of the various stakeholders on this matter have been considered and against this background, the cabinet has decided that it would serve the public good if approximately another month be given for the education process to be completed. In this regard, the Governor General has been advised that a new date should be set for the holding of a referendum. The Office of the Governor General will issue the relevant writs to give effect to this new decision, and the Electoral Office will take charge of the process. We believe that this decision is in the broader national interest, and is consistent with the consultative posture of the Government, as well the Constitutional Review Commission from the very onset. We invite all Grenadians to remain engaged in this dynamic process as we continue this long march to improving our constitutional arrangements — and in building a brighter future for not only this generation — but those to come.